Sometimes, you get lucky and get invited to a wedding from a different culture. It’s an entirely new experience and an opportunity to see weddings from a news and different perspective. 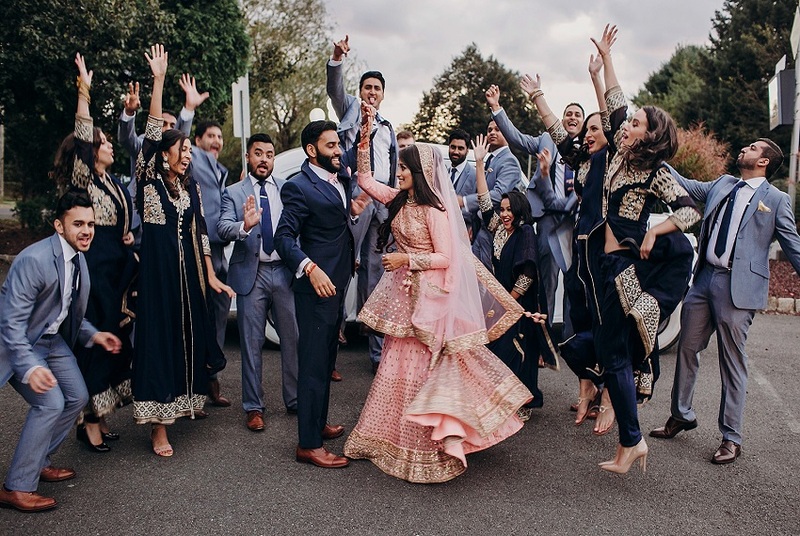 Undoubtedly, one of your first questions will be, “What should I wear?” Different traditions frequently mean you need to be aware of your outfit. As a general rule, a dark suit gives men entrée to any wedding in the world. Women sometimes need to be more aware. Unfair? Perhaps. It would make for a good discussion. You can always look at it as a reason to buy a great new outfit. To ensure that you are dressed appropriately as a wedding guest, here are the customs for various cultures. As a general rule, if in doubt, overdress rather than underdress. Underdressing for an important event such as a wedding shows a lack of respect. It is always best to err on the conservative side. Have a great time! 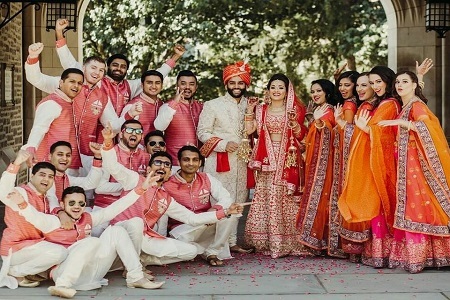 Indian weddings are made up of a wonderful array of colors. As a matter of fact, wedding guests get to wear most any color except black or white. In addition, avoid red as this is considered the bridal color. For women wedding guests, this is a chance to wear a classic Indian sari. Use part of the wrap as a head covering during the wedding ceremony. Otherwise, any western attire that covers the knees and isn’t clingy will work fine. Indian wedding ceremonies tend to be long, so make sure your outfit is comfortable. Ladies, this is a time to accessories with bangles and other jewelry. It is virtually impossible to over-accessorize for an Indian wedding. Men should be prepared to cover their heads during the ceremony, as well. Something as simple as a handkerchief or bandana will do. 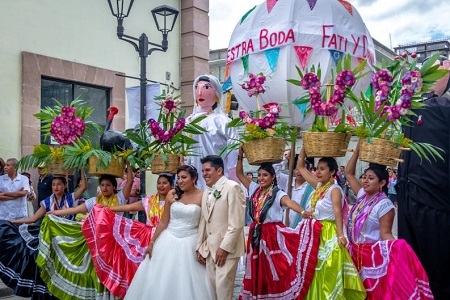 If you are a wedding guest at a Mexican ceremony, you have a few options. For the ladies, a cocktail-type dress will fit right in. It can be flowing and floral. Think elegant garden party. 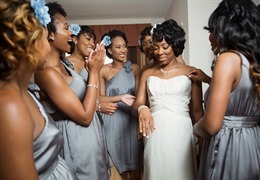 The shoulders can be bared during the reception, but make sure your shoulders are covered during the ceremony. Any color is okay except white. There is usually lots of dancing at Mexican weddings. Women-in-the-know pack a pair of flats in their purses for the reception. This translates into hours of painless dancing. For an evening wedding, men can wear a dark suit or a dressy guayabera – the traditional shirt of Mexico. If the invitation states “formal,” prepare to show up in a tuxedo. If it’s a beach ceremony, simple loafers and light-colored pants and shirt without a tie are appropriate. Ladies, you still get to wear the flowing cocktail dress at the beach. There are 22 Arab states, so wedding guests need to know more about the specific region. In less conservative regions, men may get married in a suit and tie, and male wedding guests can follow suit. If the region is more rigid, the groom will be wearing the traditional male robe, the Thobe. Male guests can do likewise, but a suit will also be fine. For women wedding guests, modesty is a must. Consider an evening gown that covers the arms and neck with head covering. Under no circumstances wear white, as that is considered bad luck. If you are moving between ceremony and reception, bring along and wear an abaya, the traditional black gown worn over other clothing. For a traditional Malay wedding, many female wedding guests opt for the Baju Kurung, a tunic worn over a long skirt or pants. You can also show up in a regular long skirt and modest top or a maxi dress in the color of your choice. If the ceremony is being held in a mosque, wear a scarf to cover your hair and make sure your arms are covered. Men can dress casually in a nice pair of jeans and short-sleeved or long-sleeved shirt. Sometimes, an evening wedding will be more formal, and the invitation should state the dress requirements. Even if the wedding is held in the U.S., a Chinese-American wedding will likely blend the traditional with some modern elements. 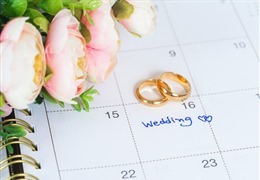 For a female wedding guest, wearing white or black is to be avoided. In addition, the color red is only for the bride, since it is the traditional Chinese wedding color. A nice below-the-knee dress that covers your shoulders is an excellent choice. Men can wear a suit or slacks with button-down shirt. Mormon weddings are one of the strictest weddings clothe-wise. It would be a good idea to check with your Mormon hosts to ensure that you fall within the faith’s guidelines. For men, a suit worn with a button-down shirt will suffice. For a more casual wedding, a nice sweater and slacks combination will also get him through the temple doors. He can wear either dress shoes or loafers. However, men should NOT wear a tie, which at a Mormon wedding ceremony is only worn by the groom and family members. For women, a skirt or dress should hit well below the knees and cover the arms. If your outfit is sleeveless, add a sweater. There are no restrictions on colors, but it’s probably best to keep it subdued. Add some plain pumps – nothing opened toed – and you will be a valued guest. 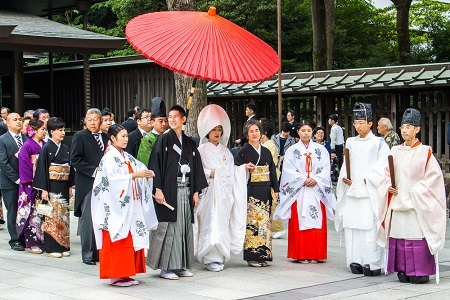 While white shouldn’t be worn as at a Japanese wedding, black is a surprisingly popular color. Men should wear black suits with white shirts and black shoes. Ladies, your dress should be a sophisticated below-the-knee cocktail dress in chiffon or silk. The color should be subdued, and black is a favorite choice. Definitely no prints. No strappy sandals or open-toed shoes, either; instead, wear a pair of plain, black pumps. A silk or chiffon shawl to cover the shoulders is definitely de rigueur. They not only keep you covered, but they look so elegant. First, do not use “My Big Fat Greek Wedding” as your official dress guide to a Greek Orthodox wedding. The movie was about a regular Greek wedding, which calls for lots of glam. While there are no official Orthodox wedding guest dress codes, the Orthodox church is conservative. Some are more conservative than others, so it’s a good idea to call ahead to inquire about dress code specifics. A business suit (male and female) will be fine in most cases. Nothing needs to be specifically covered, but keep in mind you are in church. 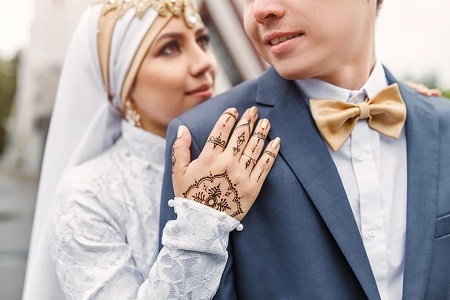 There are no real restrictions on how to dress for the reception, so if you want to change outfits and glam up after the Orthodox ceremony, you can do so. 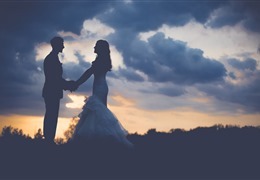 If the wedding invitation specifies white or black tie, anything that falls under these aegises will work in the church, i.e., either cocktail dress or long gown. If these have any cleavage, simply bring a wrap to church. Experiencing different cultures is what life is all about. With a little bit of planning, you can partake in the fun without raising any eyebrows.